Our wide variety of customers include Law Firms, Doctors’ Offices, Manufacturing, Retail and more. We offer software and hardware options that are specific to each customers industry and the unique needs of their business. Our technicians have the ability to evaluate and repair most systems remotely, and are always available for onsite support to ensure the highest quality of service. Every Byte Right customer is assigned a dedicated engineer so we are able to get to know your company’s unique needs. We are proactive, always working to minimize downtime through proactive maintenance. We treat every customer with the same dedication and care, regardless of the size of your firm. We’re flexible with billing, only pay for the time you use, no expensive MSP contacts. 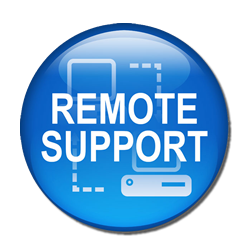 We’re efficient; our team is able remote in and resolve of most minor issues quickly without a site visit needed. We offer a broad range of cloud services to augment your current infrastructure. Some of these services include Antivirus, email filtering and continuity, hosted Microsoft Exchange, online backup, time and billing, document management, file sharing and collaboration. We can also assist with hosting your entire infrastructure in the cloud if it makes sense both technically and economically for your organization. For tech tips and news! Since 1999, Byte Right Support has been simplifying business IT problems, providing reliable and scalable IT solutions to hundreds of small and medium businesses. Byte Right Support, Inc. has long been an industry leader in providing business technology and support. Due to our extensive expertise in installing and maintaining computer systems, we consistently are able to meet and exceed the expectations of our clients. We’ve been in business since 1999 and have hundreds of satisfied customers! Our focus is providing effective and economical solutions for small and midsized businesses.